Let me preface by saying that I don't think I have legal recourse here, but there's perhaps a 1% chance. I'm going to take that chance. My wife and I bought a condo five years ago (during the summer); it's a 1000 sq ft unit on the ground floor with no basement beneath, an electric furnace, and ceiling vents. Admittedly, we didn't know what to look for since this was our first time buying a home. Well, our first winter there we were shocked at how cold it was, not to mention our $400-$500 electric bills. In previous winters we got by with bundling up, but now it's more of a safety issue since we had our first child. Still very cold. Too cold to live in, so we've been staying at my in-laws. I've been going home to check on the pipes, and on Wednesday the thermostat showed 41 degrees while on Thursday it showed 40 degrees. In the first place, shouldn't the building have been built to handle the regional climate? Granted, the building was made in 1980, but still. The walls and ground should have had some sort of insulation. It's not safe to live here with a baby. I've been going back and forth with property management and HOA, but they will not do anything to help; their only concern was frozen pipes. Are you saying that the heating vents are in the ceiling, rather than on the floor? If so, that would definitely contribute to the problem because heat rises. You might be better off setting your furnace setting very low and using space heaters to actually warm the rooms. However, I would also be exploring whether or not that could be considered a construction flaw or defect that could be fixed. Where is your furnace? You should contact an HVAC contractor about your options once this emergency period in your region has passed. Underfloor heating, heat pumps, an improved furnace, localized IR heaters and switching to a gas furnace are all options. Ceiling fans (set to down) would also help greatly. Your combined heat and electric is really not that out of line. Correct, vents are on the ceiling, so I do feel we're heating our upstairs neighbors. We use space heaters, but it's not enough to keep with the cold. The furnace is inside a closet in the dining room that also contains the water heater. It's an "air handler" with an electric heating element inside, and there is a condenser outside. The building gets no gas, so all electric. So yes, we may need to replace the whole unit. However, that alone may not be enough because the cold just seeps into our unit from the ground and walls. You might want to get quotes to re-vent the furnace either under the floor or at the bottom of the walls. While not trying to downplay the overall problem, I do feel compelled to point out the the cold in the Midwest this past week has been exceptional and does not represent the normal climate of the area. Research getting radiant heat for your floor, especially as you have been told by the HVAC person that you should replace the system anyhow. Radiant floor heat will mean warm floors, and heat rises. It should be more efficient for your situation. There should be some space in the walls. There might be enough space to allow for ducts that would go to the floor. Even if those ducts merely added to the distribution of the heat. I honestly do not know if you have any grounds to claim that the design of the condos or the installation of the heating is faulty, which might give you some kind of grounds against the developer/builder etc. You would need construction and HAV experts for that. The condo was built in the 1980s and purchased 5 years ago. There is unlikely to be any legal recourse at this point in time. 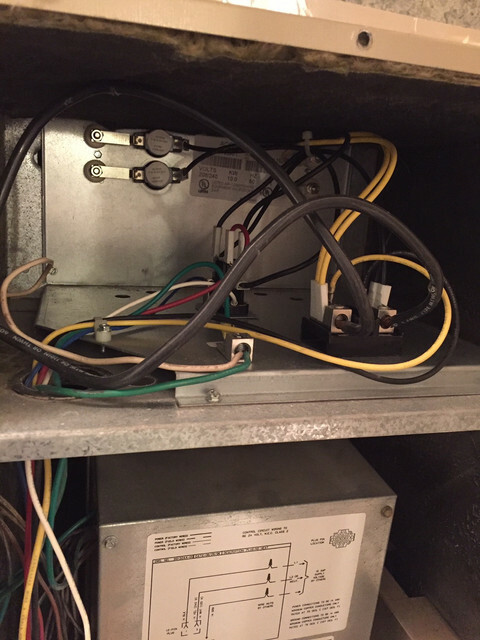 Get an HVAC guy over and ask the simple question, "What's it going to take to heat this condo?" I think, overall, the thing that OP does not understand is that once you buy it, it's your responsibility. Presumably OP had the option of having someone inspect the place before moving in, and certainly after 5 years, the only legal option... is to update the heating system on their own dime. And doing so will enhance the resale value. I strongly suggest that OP read Laura Ingalls Wilder's "The Long Winter". It will help OP put things into perspective.